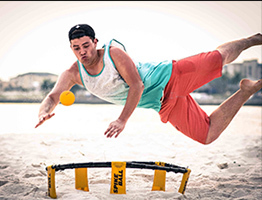 We've found that Spikeball® appeals to a wide spectrum of ages and abilities. There are no limits to its potential. 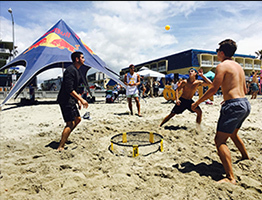 The sport of roundnet is played 2 vs 2, with a taut hoola hoop sized Spikeball net placed between the teams. 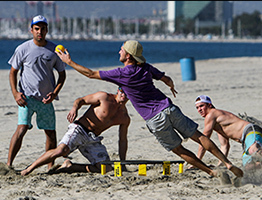 A player starts a point by serving the ball down on the net so it ricochets up at his opponents. 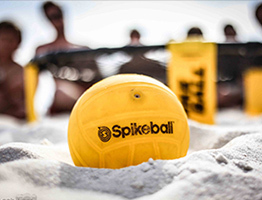 They have up to three hits between them (just like Volleyball) to control the ball and bounce it back off the net. When they miss, you score. Did we mention that there are no boundaries?